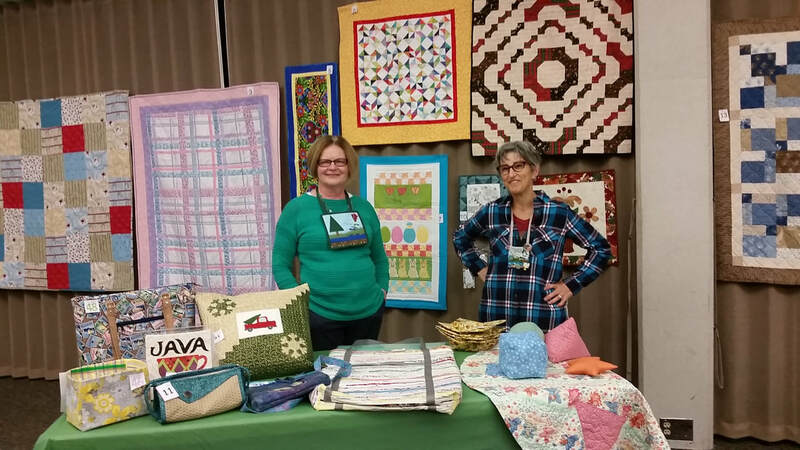 Held in October, our annual Live Small Quilt Auction features items made by our guild members. This is just in time to stock up on gifts for the holidays! There are often quilted table runners, wall hangings, purses, baby quilts and much more. As it gets closer to the date we will be posting some of the items to be auctioned on our facebook page. The public is welcome and there is no fee to attend the auction. Paddles are available at the door. Refreshments will be served and Opportunity Raffle Baskets will be available. All proceeds benefit educational programs for the guild and the community. Here is a sampling of the many creative items our guild members contribute to this event. It's an enjoyable evening and a wonderful opportunity to do some gift shopping! Cash or personal checks are accepted for payments.